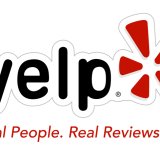 Home » slider - Upfront Pricing » Proud To Be A Part Of the Yelp Community! Proud To Be A Part Of the Yelp Community! For outstanding reviews, click on Yelp image below.